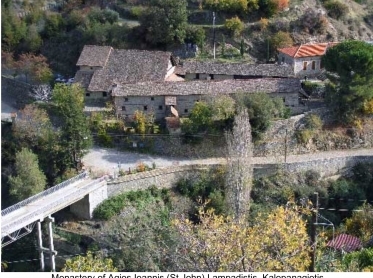 In the central part of Cyprus, in the mountains of the Troodos range, some of the most important monuments of the history of Byzantine painting have survived. 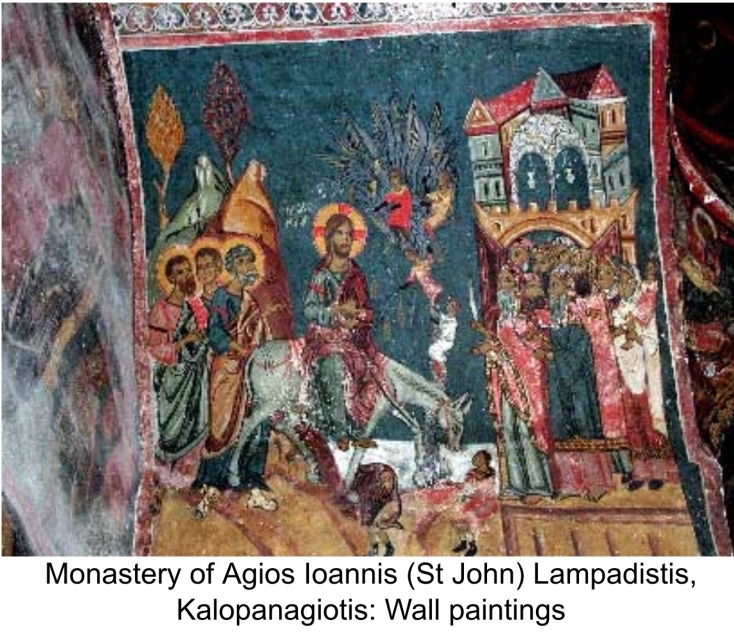 They consist of painted churches which have preserved to this day brilliant examples of various trends of the Byzantine and post-Byzantine monumental art, from the 11th to the 19th century. 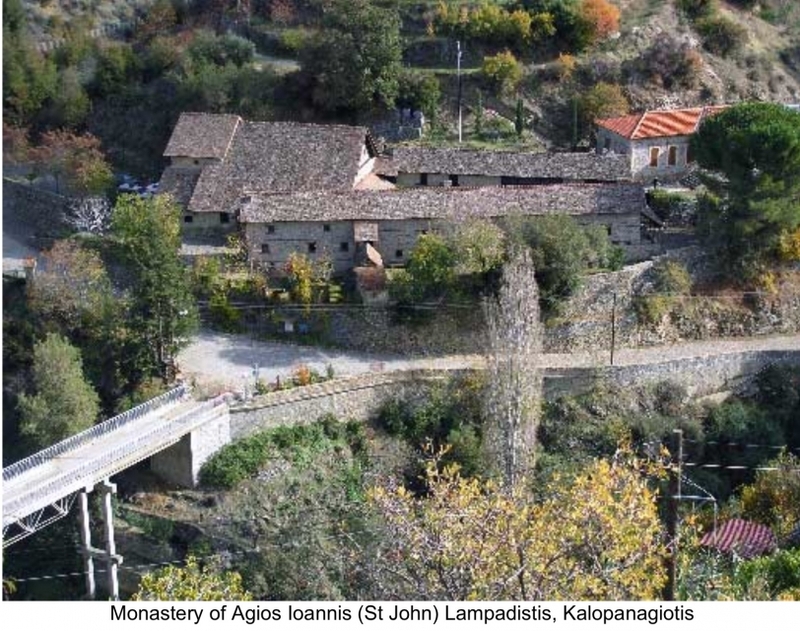 Ten of these churches have been so far granted World Cultural Heritage status by UNESCO.The monastery of Agios Ioannis Lampadistis is situated in a central area of the Troodos mountain range, in the valley of Marathasa. It is built on the east bank of the river Setrachos, opposite of the village of Kalopanagiotis. In 1985 it was inscribed on the UNESCO World Heritage List which includes nine other painted Byzantine churches of the Troodos range. 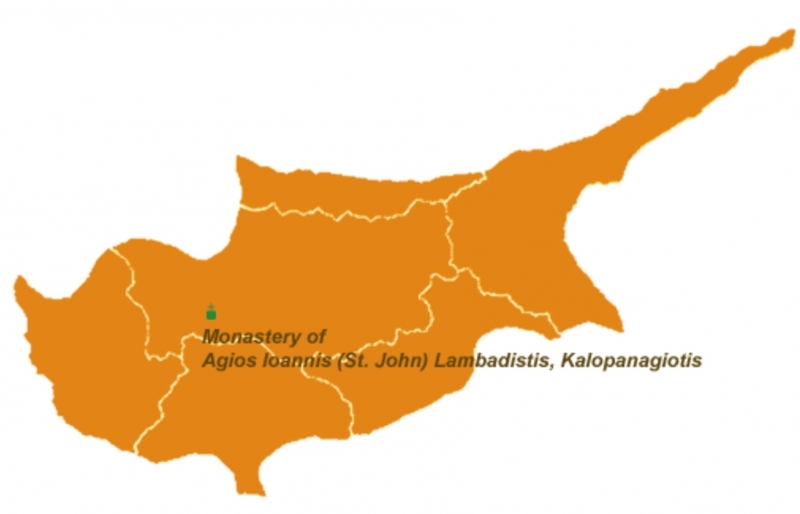 The exact founding date of the monastery is unknown. The katholicon (monastery church), which is dedicated to Saint Herakleidios, is dated to the 11th century. Among the wall-paintings of the narthex there is an inscription, dated to the 15th century, which describes this church as "katholiki", i.e. the principal parish church of the village. According to other written sources the monastery functioned until the beginning of the 19th century. Since then it has been used as a church. In the middle of the 19th century a room of the monastic buildings was used as a classroom for the children of Kalopanagiotis and other neighbouring villages. On the contrary, the frescoes of the 'Latin' chapel, (dated to around 1500), belong to the 'Italo-byzantine' style, which combines Byzantine and Italian Renaissance elements. In fact, it is the most complete set of this style in Cyprus. The "Latin" chapel, if it is so, denotes the coexistence of the two rites under the same roof and reflects the atmosphere of tolerance which prevailed in Cyprus after the Council of Ferrara-Florence (1439).